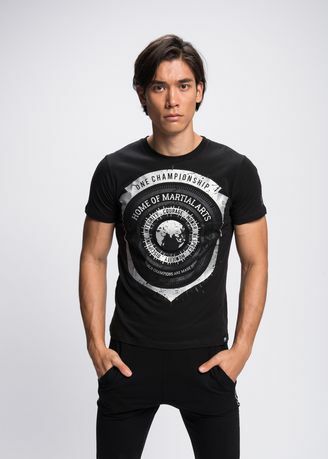 ONE Championship is known as “The Home Of Martial Arts,” and now, you can be a part of the ONE family with this exclusive tee. The black shirt features a giant badge of honor in white and grey, and at its core is Asia. Surrounding the badge are the organization’s most treasured values of courage, honor, respect, humility, discipline, and integrity.